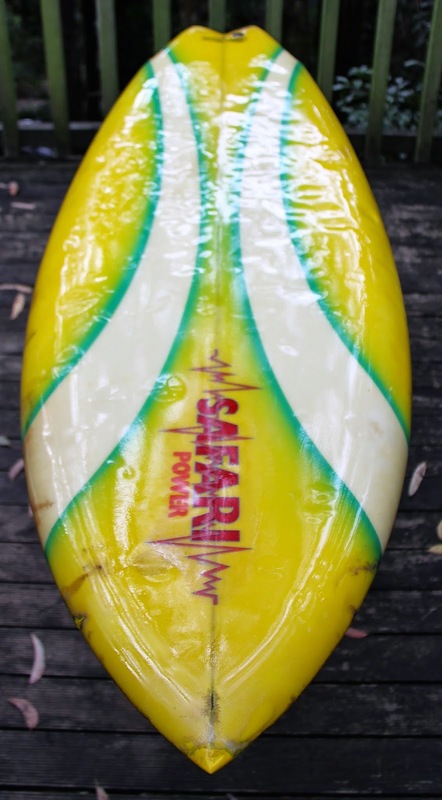 : Board Collector: Spider Murphy Safari twin fin. Spider Murphy Safari twin fin. I'm very pleased to share with you my Spider Murphy shaped 6'0" Safari single fly swallow tail twin fin from South Africa. I'm very stoked to have gotten my hands on a Spider Murphy twin fin, because there are not many shapers who have been at the cutting edge of the revolution in surfboard design, not once but twice in their careers. Durban's Spider Murphy has built boards for every generation of hot shots from the 70's to this very day under his Safari and Spider labels and can be credited with influencing both the tube riding revolution of the mid 70's and the aerial revolution of the early 80's. Shaun Tomson riding his famous Spider Murphy pin tail pun at Pipe. Photo Dan Merkel. 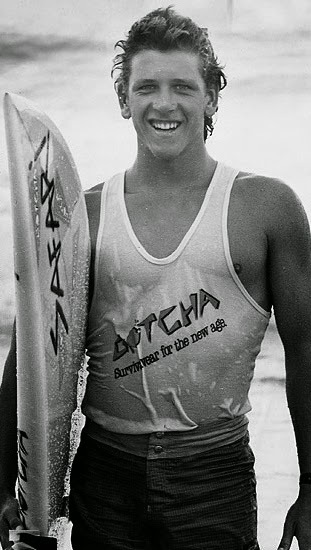 Spider is most famous for his pink 1974 Potato Chip / Banana Board, pin tail gun designed for Shaun Tompson, that essentially revolutionized tube riding on the North Shore of Hawaii in 1975. It was Spiders unique rocker, foil and template design that allowed Shaun to get deeper in the tube than anyone had ever gone before. The boards design was so ground breaking that Tomson couldn't even leave the board on the beach and had to keep it hidden and covered with a towel! To loosely quote from Ben Marcus's 365 Surfboards - "Usually design innovation comes about through inspiration. Sometimes its just a fluke", Shaun said. 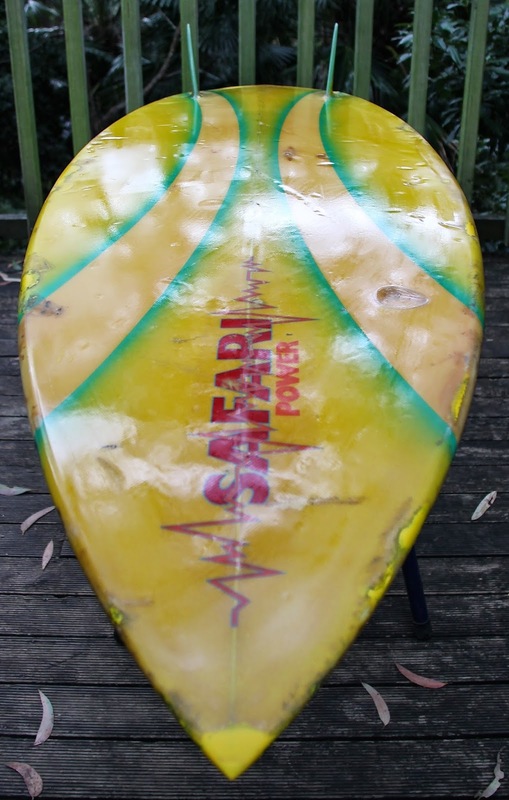 Spider originally made the board to be ridden at Sunset Beach. The board evolved from a photo of a classic 8-foot Brewer gun that belonged to Jeff Hackman. Murphy worked off that photo and tried to duplicate the rocker, but the molds used in the Safari blanks wouldn't allow it, so he laminated the board and placed bricks on the nose and tried to bend in the rocker. " The board ended up with extreme curve and was an absolute dog on the deep water waves of Sunset, spinning out on turns and very slow," Tomson said. "However at pipeline it was a dream, the curve fitting in perfectly to Pipline's hollow face- enabling me to take off latter and drive straight off the bottom, and straight off the top." Tomson rode the board for 5 winters at Pipline and never blew a take off- not once. 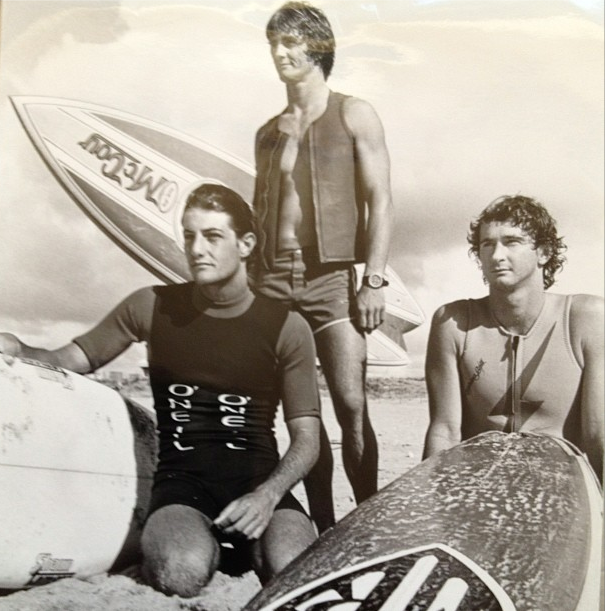 It maybe the first board ever developed with modern rocker that enabled surfers to ride hollow waves." A young Martin Potter with a nice thick Safari twin fin. 10 years later Spider helped pave the way for the next big evolution in surfing when he equipped a 16 year old Martin Potter with the tools for flight that led to the Aerial chapter of performance surfing. Martin may be most well known for riding his Glen Pang T&C's but it was Spider's 'The Saint' series of Safari twin fins that started the revolution. 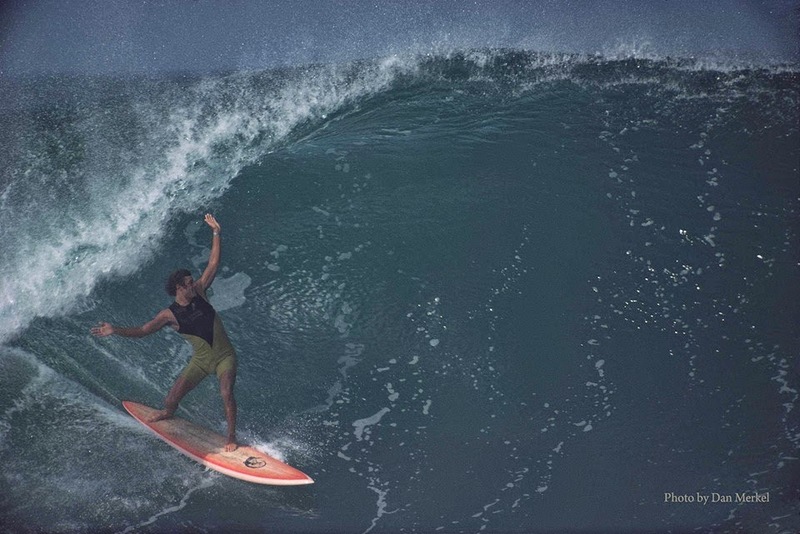 A young Martin Potter riding a Safari twin fin, showing signs of the radical surfing that was about to come. Pronounced vee through the tail. Shaun Tomson with Spider Murphy twin fin, (probably) at Narabeen for the 2SM surfabout. Photo via Mark Richards from the Daily Telegraph. Foam fill fins. A technique I thought up until now was unique to the US. I have Aussie boards with foam filled fins also. Wow, I had a Spider Murphy shaped 5'10" chisel tail thruster from the same era as this. It had the exact same logo, almost identical foam filled fins. Mine was bright pink, had this weird textured deck finish. My friends Dad brought it back from Durban in 1986. I owned that board many years ago. Marty. South Coast book launch. Part 2. Spider Murphy Safari twin fin. Part 2.